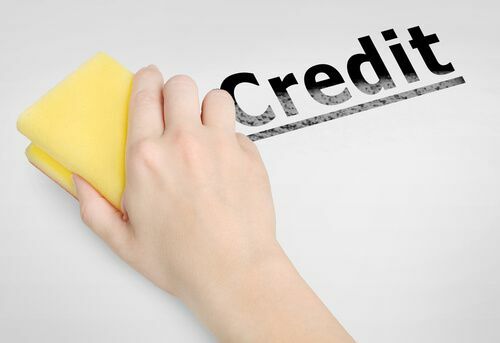 Clean Up Your Credit: 5 Tips to Get Started | The Consumer Law Group, P.C. Bad credit hurts you in a lot of ways, and keeping your credit score as high as possible is the key to affordable rates when buying a home or car, or making other major financial decisions. If your score is lower than you’d like (or if you’re not even sure), we’ve compiled these five tips to help you clean up bad credit and improve your credit score. 1. Check Your Credit Report and Check It Often! The only way to know what is on your credit report and negatively affecting your credit is to actually see your report. Duh. You should pull your credit report from each of the three major credit bureaus (Equifax, Experian, and Transunion). You can request a report from each of the three once a year for free at AnnualCreditReport.com. Once you get your credit report you can comb through it and find all the nasty things that may be hurting your credit. Pulling your credit report once a year is smart way to keep track of your credit but better yet, you should be monitoring your credit report more frequently. Just like any other problem, the sooner you diagnose, the better your chances at recovery. Reviewing your credit report every three or six months is best. If there is anything on your credit report that should not be there or is incorrect, dispute it! Dispute it with both the creditor and the three credit bureaus (Equifax, Experian, and Transunion). Disputes may be filed by mail, website, email, or over-the-phone. However, the best method is to dispute by sending a letter certified mail to the each of the credit bureaus. This provides you with hard evidence if ever down the line you may need to prove you actually filed a dispute. In your dispute letter be sure to be as clear and detailed as possible in explaining why this account or dollar amount is incorrect on your report. If you have proof that this debt is inaccurate, include those documents with your dispute. For example, if you have a letter from the original creditor stating you no longer owe this debt or you owe a different amount, attach that to your dispute. The credit bureaus have 30 days to review your dispute and make a decision. If they still determine the debt to be valid, dispute again! Include more evidence and documentation if you can. Whether you have a judgment or old debt on your credit report, you may be able to get those accounts removed based on your state’s laws. If you have a judgment you were never aware of, you may be able to get that judgment removed and a new court date scheduled because you were never properly served the lawsuit. Or, if you have an old debt on your report from several years ago that you’ve forgotten about and that the creditor hasn’t contacted you about, you may be able to get that removed based on your state’s statutes of limitation (maximum amount of time from when a lawsuit may be initiated). This sounds obvious enough, but we all go through financial highs and lows that make paying off debts a very difficult and stressful goal. Loss of a job, medical emergency, or the like, may jeopardize your ability to pay down your debts and make timely payments. When faced with limited resources, your main priority should be paying your housing, utilities, groceries and healthcare. If able, then pay down on your credit cards and try to do so on time. Timely payments are key. Don’t use credit if you don’t have to. A major factor in evaluating your credit is your credit balance-to-limit ratio. If you carry a balance on a large portion of your available credit lenders will be less likely to offer credit seeing that your credit is maxed out. If you are only able to pay the minimum balance or small amounts on your debts, you may want to consider settling your debts. Rather than continuing to pay interest and only nibbling away at the principal, you may want to consider settling the debt for a lump sum. To help accrue funds to allow you to offer a lump sum settlement, you would need to stop making payments on the account. Yes, your credit is going to suffer in the short term for having late payments and then a defaulted account, but in the long run it may be more beneficial to have this debt paid off in a shorter period of time. Weigh out the pros and cons before you make a decision. You can always reach out to your creditors for settlement on your own but you will have stronger negotiating powers if represented by an attorney. If you have questions about your credit report, or would like to learn more about whether the debt settlement process may be right for your situation, contact The Consumer Law Group, P.C. Our office is headquartered in Richmond, and we proudly serve all of Virginia. To request your consultation call 804-282-7900 today.